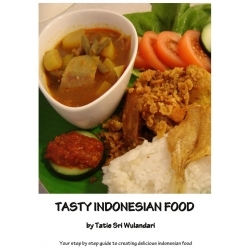 A light version of an e-book cookbook written by Tatie Sri Wulandari due to a good response of visitors on her website www.tasty-indonesian-food.com. It is offering 30 recipes with description of dishes, detailed instructions on how to create them, pictures and some basic information about indonesian cuisine. The e-book is in english language.